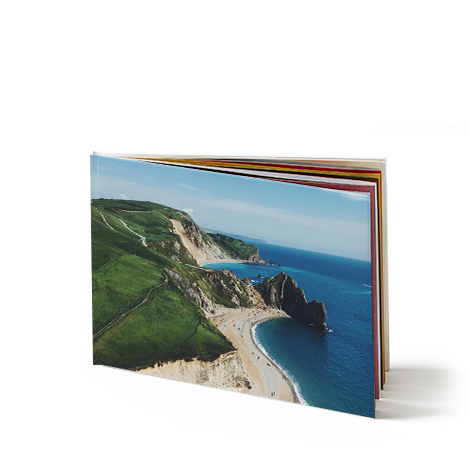 Whether you want to display a cherished family holiday or your baby’s firsts, personalised calendars allow you to put your special memories in the spotlight for 2019 and make fantastic keepsake gifts for friends and family. Make your mark on the year ahead. Available in A3, square and A2, our premium range lets you place your favourite photos on every special date with a personalised caption for free. Take your memories with you and keep organised wherever you are. Free-standing with a sturdy base and a range of layouts and designs. Handy, practical and with room to write on important dates and appointments. Our Kitchen Calendars are perfect for planning and reminiscing while you wait for the dinner to cook. Our Personalised Diaries are a fantastic way for managing a busy work and play schedule whilst admiring your favourite moments. There’s plenty of space inside to make a note of your important appointments and to-do lists. Our Premium range of Calendars allow you to personalise dates with photos and text for free! Create Your Own Calendar Just the Way You like it! Our personalised photo calendars come in an array of attractive designs, from fun and funky to simple and elegant, so you shouldn’t struggle to find something to suit your needs. Available in a wide range of sizes, you can choose to make a calendar either for your desk at work or for the wall at home. You can even personalise individual dates with photos or captions for no extra cost, ensuring that you’ll never forget an important event, appointment or anniversary again. At Truprint, we’ve made sure that the creation process of our photo calendars is as straightforward as possible. To order your calendar online today, simply upload your favourite photos, select the size you want and take your pick from a variety of template designs. For added convenience, you can start your calendar from any month of the year. 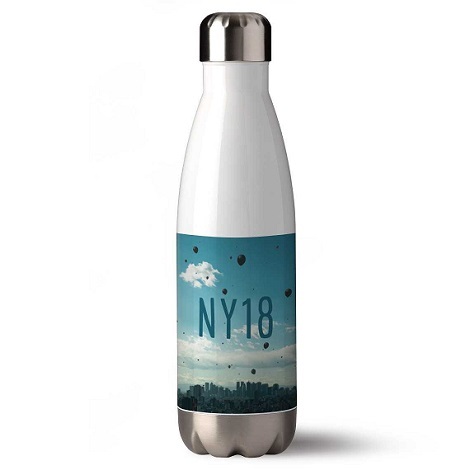 We make sure all of our custom calendars are affordable without compromising on quality, so you can rest assured that you won’t be disappointed by the results. 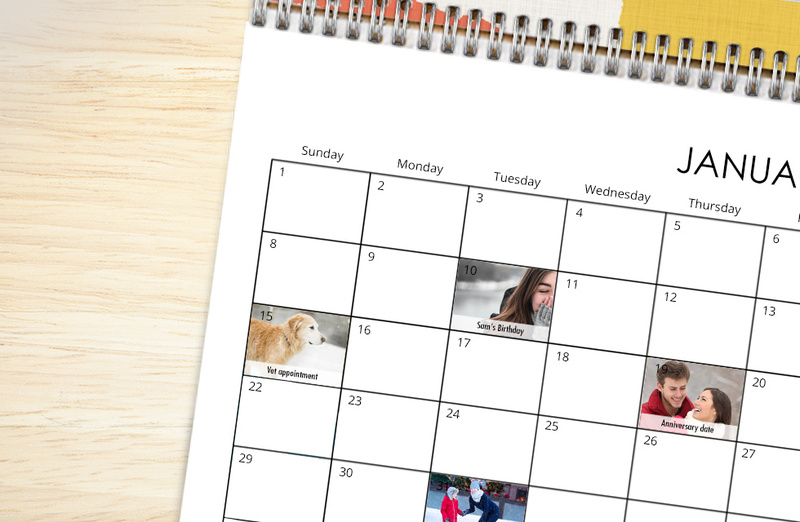 Whether it’s family holidays, baby’s firsts, or fun with friends, Photo Calendars will enable you to enjoy moments that matter most throughout 2019. Start every month or day of 2019 the right way – with a smile. If you haven’t done so already, you’ll need to upload the photos that you’d like to feature in your Calendar. You can do this by clicking “Add Photos” on the homepage. Once your photos are uploaded, click “Calendars” on the homepage. We have a range of Calendars to choose from, so you can select one that best suits you! Once you’ve selected your Calendar type you can select your own starting month. You don’t have to wait until the New Year to start using your new Personalised Calendar! Starting month chosen? Now time to choose a design! 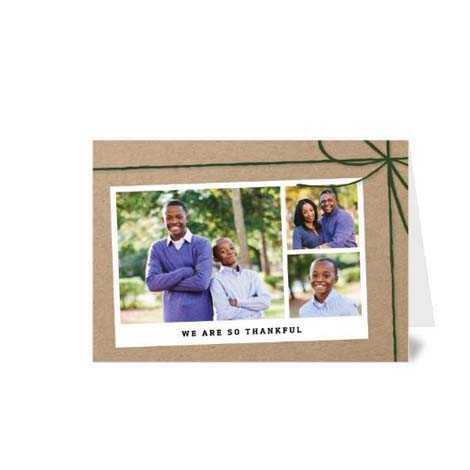 We have dozens of different designs you can choose from for your Photo Calendar. From seasonal and simple, to travel and trending designs. 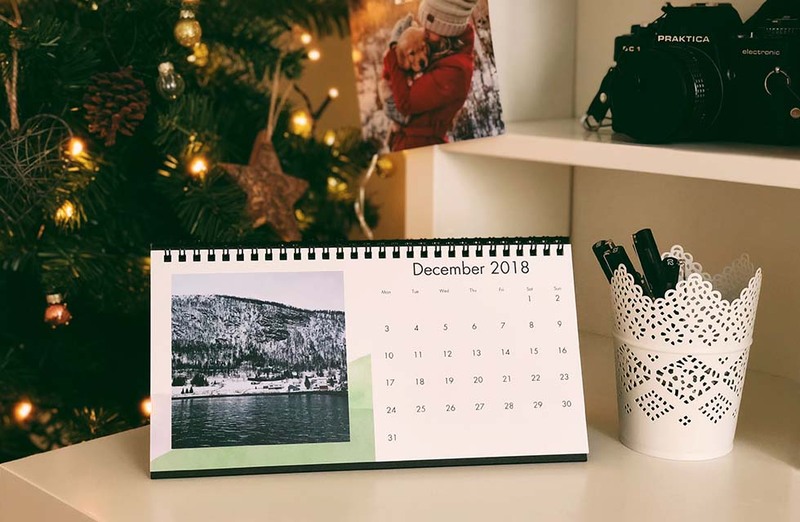 Once you’ve selected a starting month and design, you can begin personalising your Calendar with your favourite photos. You can even personalise particular dates and milestones with photos and text! Once you’ve created your Photo Calendar, you’re ready to review & buy. It’s as simple as that! Enjoy the moments that matter to you 365 days a year!